With no artificial colors, flavors, or preservatives and kitchen-level ingredients like Guajillo chilies, mozzarella cheese, and chicken and beef raised with no antibiotics, tonight’s meal is a no-brainer. 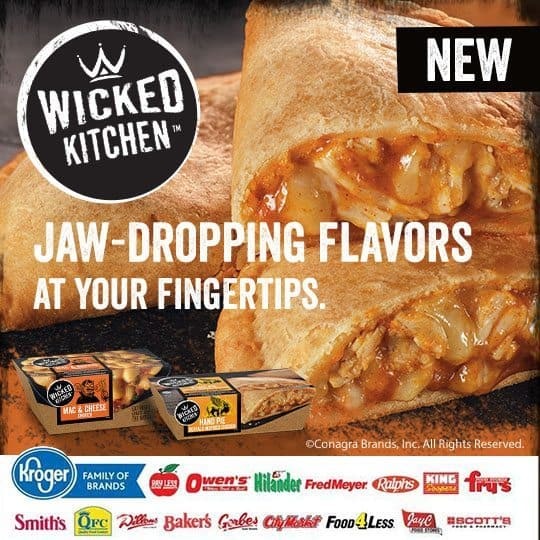 And now, for a limited time, there is an online offer to save $1.00 on any ONE (1) Wicked Kitchen Mac & Cheese or Hand Pie at Frys and Kroger banner stores! Click here to download this awesome deal before it’s gone. And while you’re shopping at your local Frys or Kroger banner store, don’t forget to stock up on all of the mouthwatering meals, from the Buffalo Inspired Chicken Hand Pie to the Chorizo Mac & Cheese. With these jaw-dropping flavors at your fingertips, you may never have to ask yourself, “So what’s for dinner?” again.